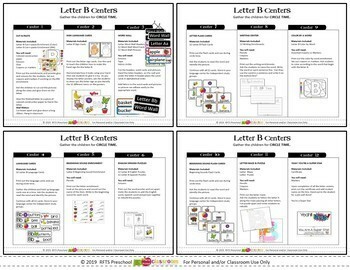 Includes 12 Center Activities surrounding the letter Bb. 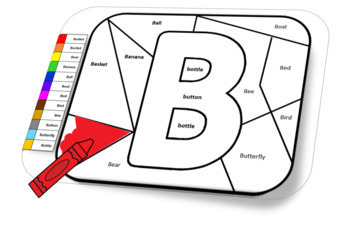 RFTS Preschool products are exceptionally easy early learning fun for the preschool age child. My hope is that you will enjoy using the materials and products as much as I enjoyed developing and creating them for you. If you enjoy this RFTS Preschool product, please stop back and let me know. I appreciate your feedback, comments and suggestions. If you have a question about this product, please contact me directly before purchasing. I am always happy to help in making sure this product works for you and your students. Thank you for viewing! ENJOY! Keywords: letter Bb, cut-n-paste letter b, sign language cards, letter b word wall, language cards, beginning sound enrichments, english-spanish puzzles, flash cards, writing center, color by word, letter puzzle, letter maze, childcare, rfts preschool, rfts, rfts preschool, rfts prekindergarten, robyn birge, reach for the stars.